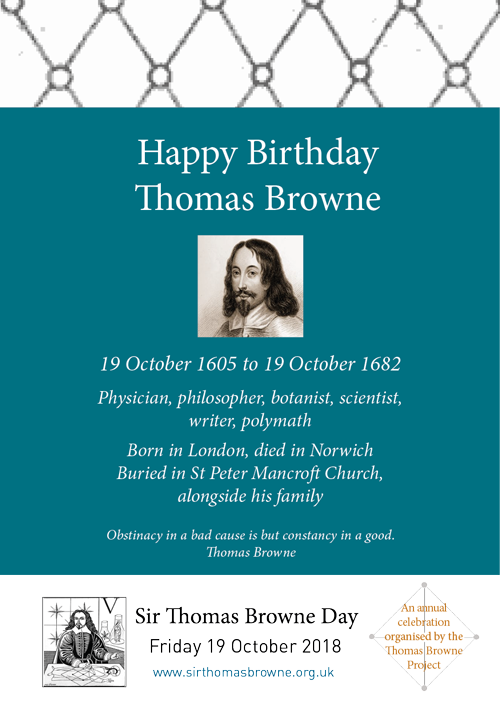 Thomas Browne Day 2018 went off very well. It was a beautiful autumnal day and we spent a nice time on Hay Hill talking to people who, for the most part, didn't know much about Browne. 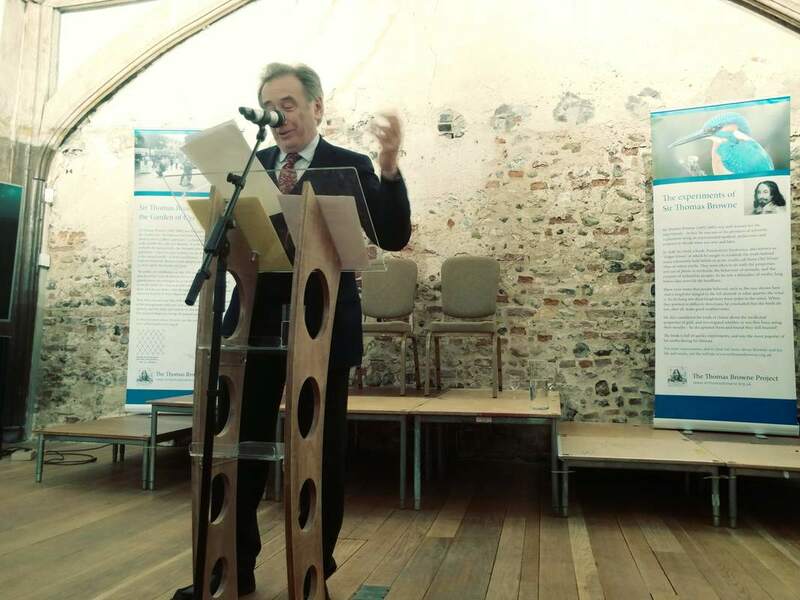 There was a good turn-out for Barbara Miller's talk and tour in St Peter Mancroft Church and Kevin Faulkner recited several pieces on Hay Hill underneath the statue of the man himself, in 17th century costume. 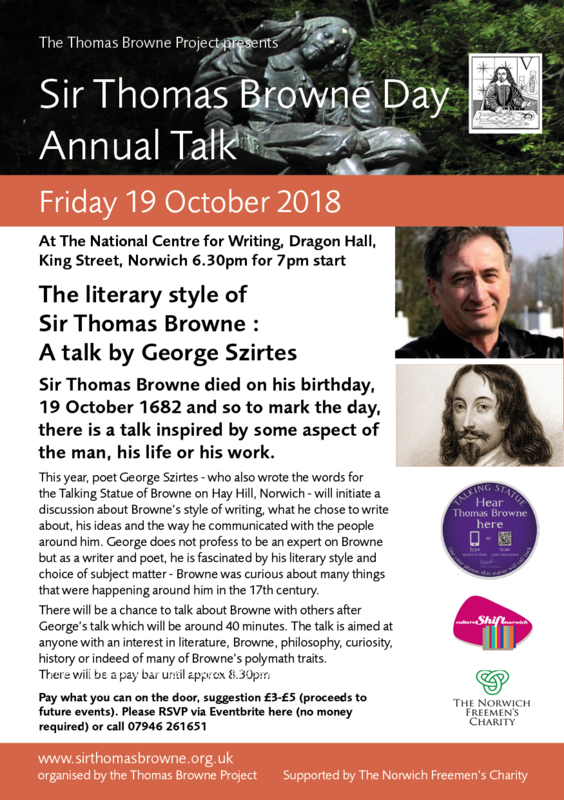 In the evening, a well-attended talk about the literary style of Thomas Browne by George Szirtes was extremely well received. There is a transcript of George's talk here and we will shortly be loading up a filmed version for those that weren't able to come in person. The talk was followed by a discussion between George, Lucy Ward (write2screen) and Anna Wyatt (UEA).